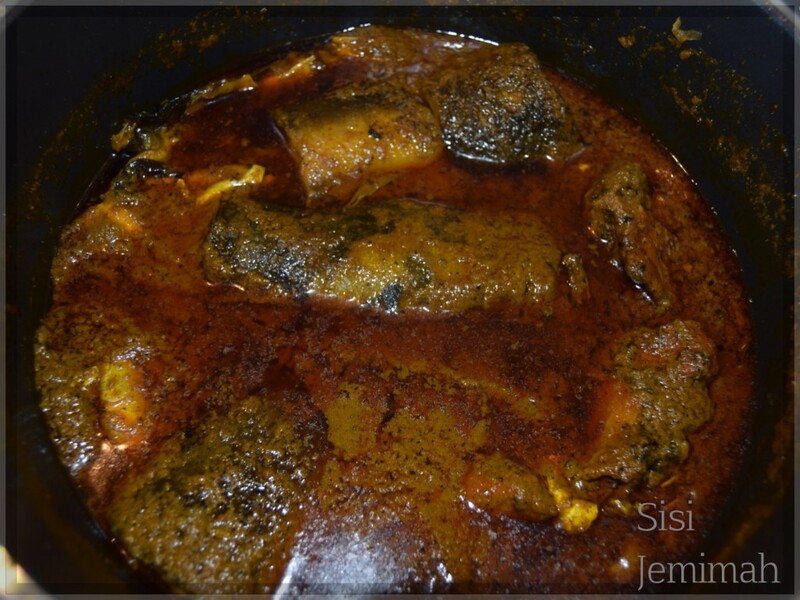 Home » Recipes » BANGA SOUP RECIPE AND STARCH - THE NIGER DELTA WAY!!! 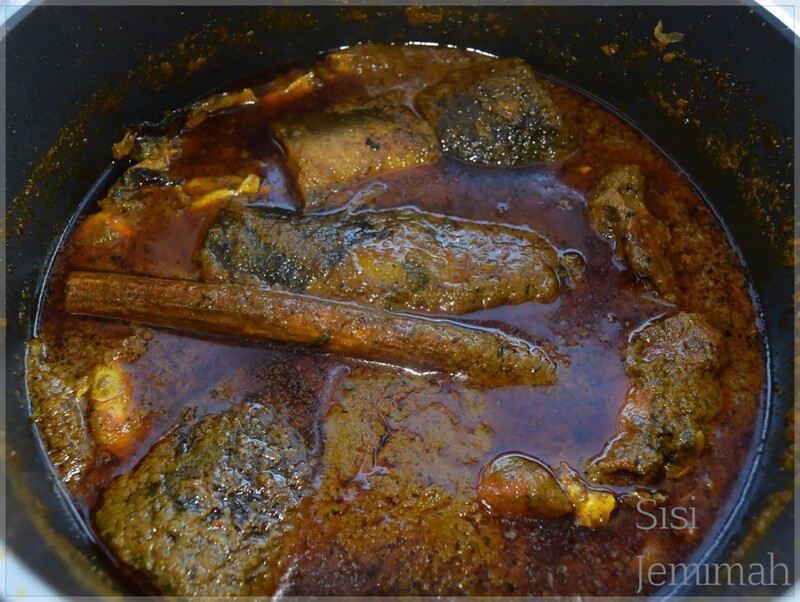 BANGA SOUP RECIPE AND STARCH - THE NIGER DELTA WAY!!! Area!!!!!!!!!! Whether na UK or US or Canada you dey this na confirm way when you go take cook banga soup. 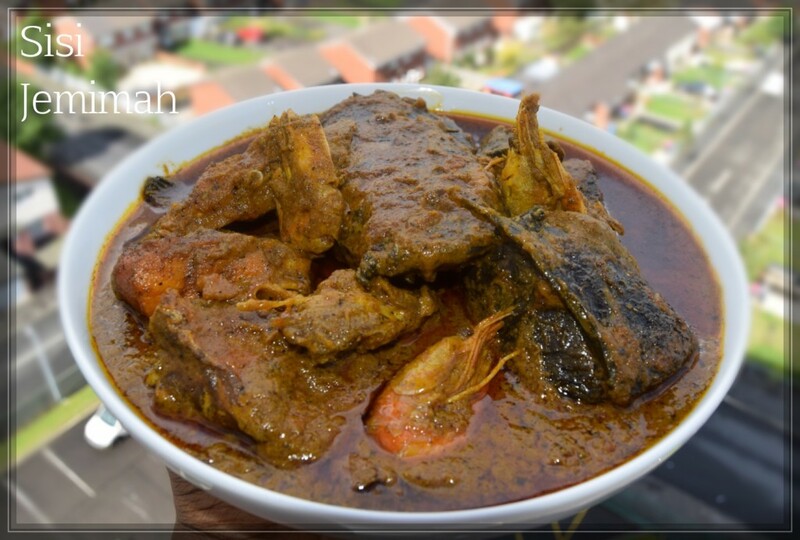 Banga Soup is a very popular Nigerian Palm nut soup, it’s a Delta/Urhobo favourite. 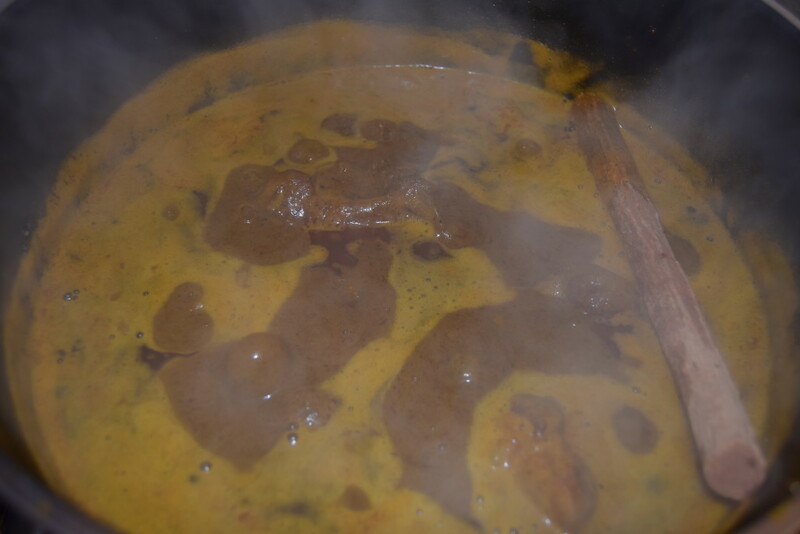 The preparation method of Banga soup varies from tribe to tribe. The Igbo version is called Ofe Akwu which includes the addition of Ugu or Scent leaves which is without in the Delta version. There’s also the Efik version called Abak Atama. I will be using the canned Palm nut extract for my Banga soup recipe. It’s much easier to use and cuts the cooking time down tremendously. If you’re thinking of using fresh palm nut, all you’ll need to do is wash the nuts vigorously to remove all traces of dirt, boil the nuts for 15-20 minutes on medium heat or until the nuts soften. 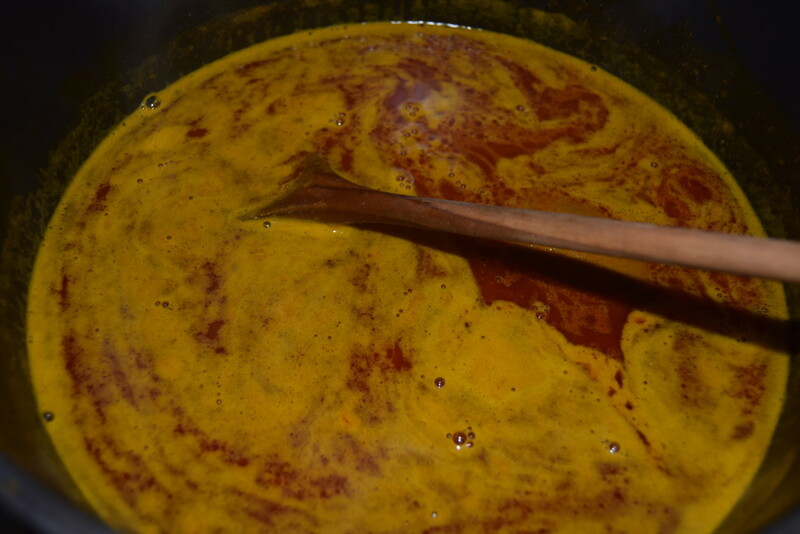 Transfer the nuts into a mortar and pound till the skin begin to break off and the colour becomes kind of even. Do this carefully so you don’t break the kernels. Pour some hot water on the nuts; still in the mortar and mix thoroughly then strain with a sieve or cloth to extract the palm oil and that’s it. 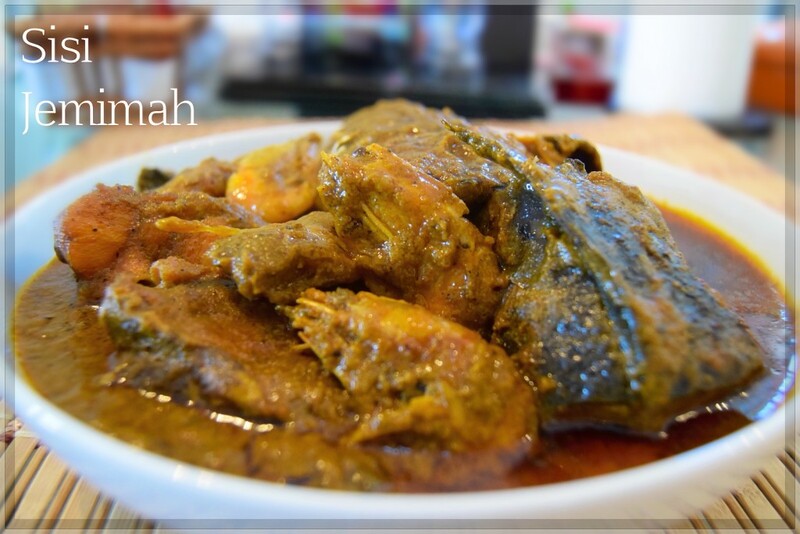 Banga soup is mostly cooked with fish but you can also add meats to it if you choose to. I’ll be using fresh Catfish and smoked turkey. 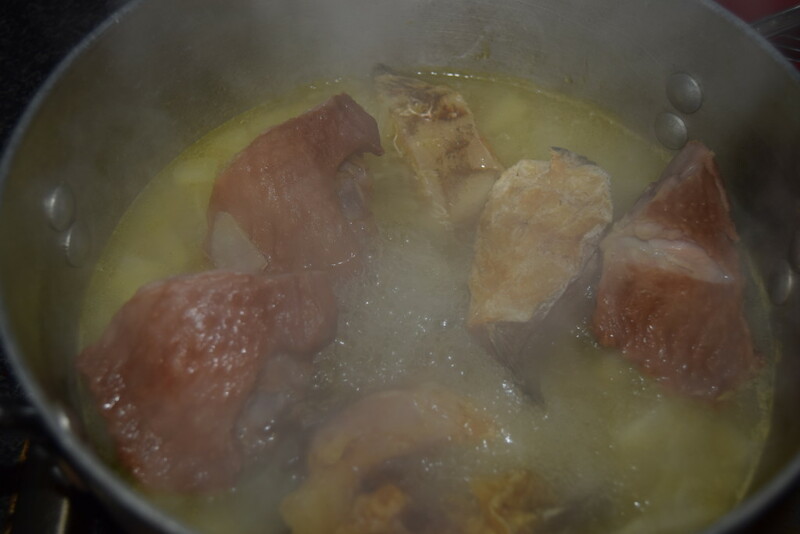 I really wanted to use just fish but I love the flavour of smoked turkey in soups and stock, hence its inclusion. I’ll be using a store bought pre-mixed Banga spice blend as I haven’t got access to the real deal. 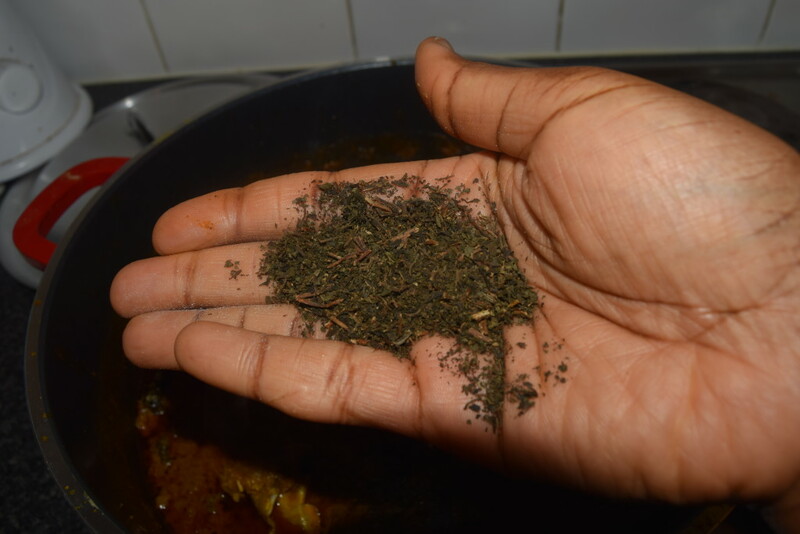 Banga spice typically consists of a blend of blended Tyko, Obeletientien, Rogojie and Oburunbebe stick. 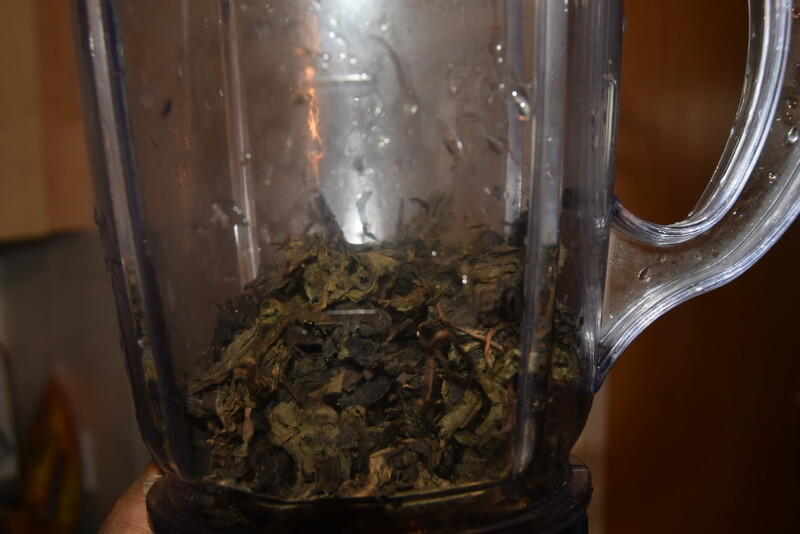 1-2 Tablespoons Crushed Obeletientien leaves or Dried bitter leaves. 2 Tablespoons dried pepper (Atagungun) This is optional if you’re using Rodo but I l prefer mine really hot. These are my ingredients: Gut, clean and wash your fish thoroughly, especially if you’re using Catfish as it can be quite slimy. Wash Catfish with salt to remove the slime, alternatively, you can freeze it for a day, leave to thaw and just rinse with water. Boil your meats first, if you’re using any. I’m using smoked turkey. Remember to start with the tougher meats, then add the softer ones as you go. Also, remember to boil offals separately. 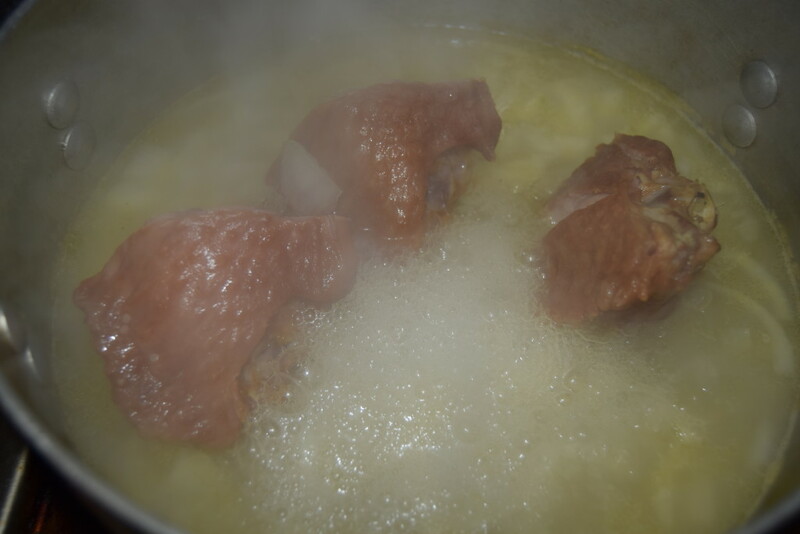 I’m starting with my smoked turkey, I’m boiling this with chopped onions, Knorr chicken cube, salt and a teaspoon of Aromat seasoning, I’ll be boiling this till tender, not soft, just tender…You can do the same with your tougher meats. 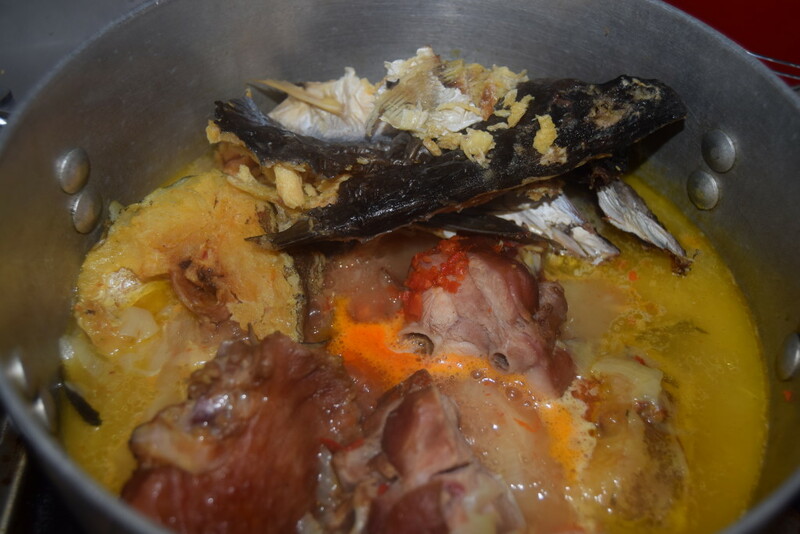 When it’s tender, add the dried stockfish and the blended Scotch bonnet, continue to boil till the stockfish is tender and the meats/smoked turkey soft…. Now, transfer your palm nut extract into a big pot. If you’re using the tinned extract, it comes really thick, dilute with hot water, the water should be almost double the quantity of the extract. I’ll be using the stock from the meats as well, so, I’m including the quantity of the stock as part of the water I’m diluting the extract with. When you’ve added the water and stock, place on a hob on medium heat, mix thoroughly to break up clumps. Do not cover the pot from now till the end of the cooking process. 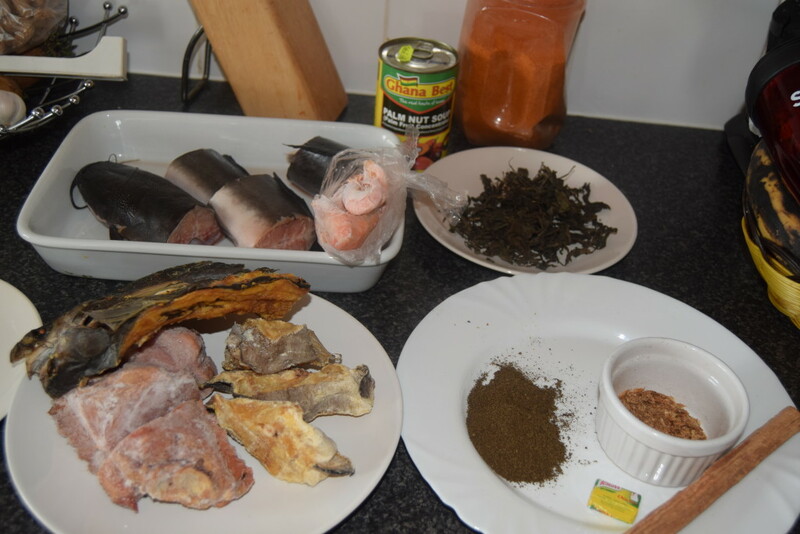 Then add the Banga Spice, Oburunbebe stick, ground crayfish or prawns, dried pepper, knorr cube and salt to taste. You may not need too much salt if your stock is well seasoned so be mindful. 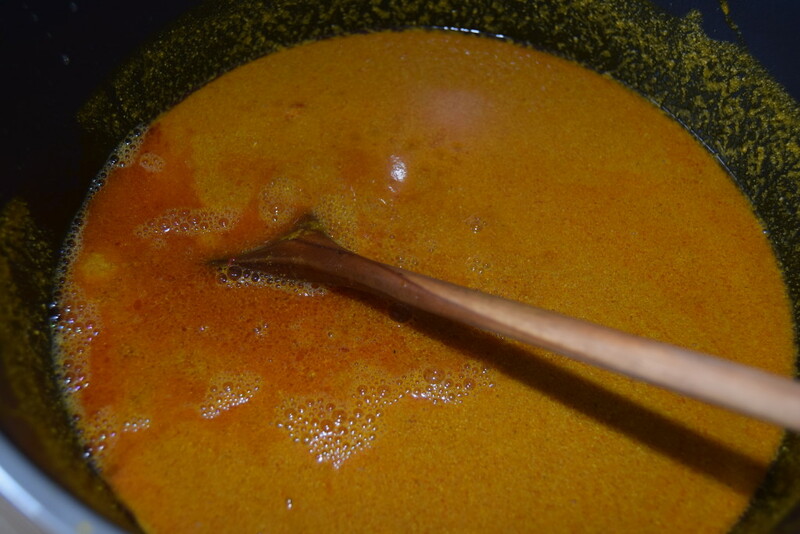 Be really careful when adding Banga spice, start with a tablespoon thereabouts and add more intermittently if needed, too much will make your Banga soup really bitter and that would be irreversible if that’s the case. Leave to cook for 5 minutes, at this time, the soup would have thickened up a bit. Now, add the Catfish or your preferred fresh fish and fresh shrimps, (now is a good time to add periwinkles if you’re using any), turn the heat down to low, leave to cook for 7-10 minutes, at this time, palm oil would have settled on the top. Decant some of the palm oil if you find it too oily. Now, add the dried Obeletientien or bitter leaves, stir and combine…cook for 2 minutes, then switch off the heat. 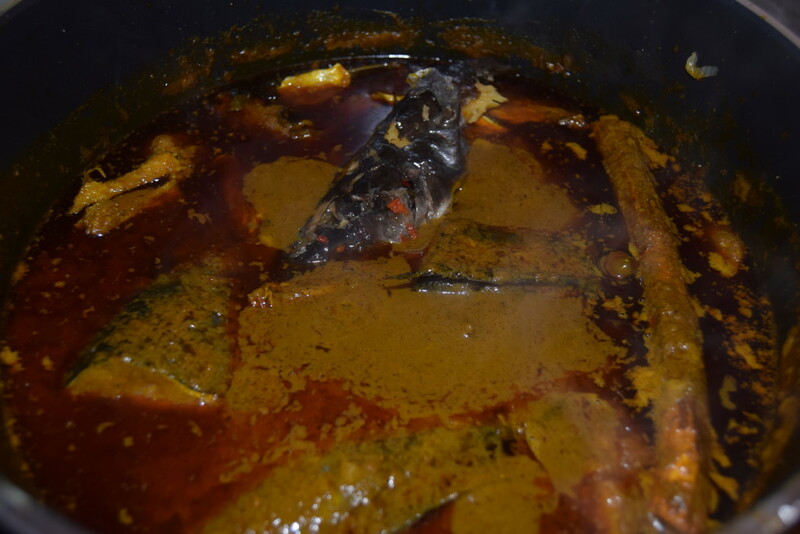 Be very careful when you’re adding bitter leaves, too much will make your Banga soup really bitter and inedible.